These Easy Halloween Cheese Snacks are a great treat the whole family will enjoy crafting, and most importantly, eating! Can I be honest? Trick question. Of course I can, I can do whatever I want. It is my blog… I get a little sick of Halloween candy and the avalanche of sweet Halloween treats. I don’t even let my kids eat all of their Halloween hauls. We ration it and end up throwing a lot of it out after a few months. Yes, I am a big meanie. I do, however, love savory snacks and these Easy Halloween Cheese Snacks are right up my alley for any Halloween festivity! First of all, these are fun to make. 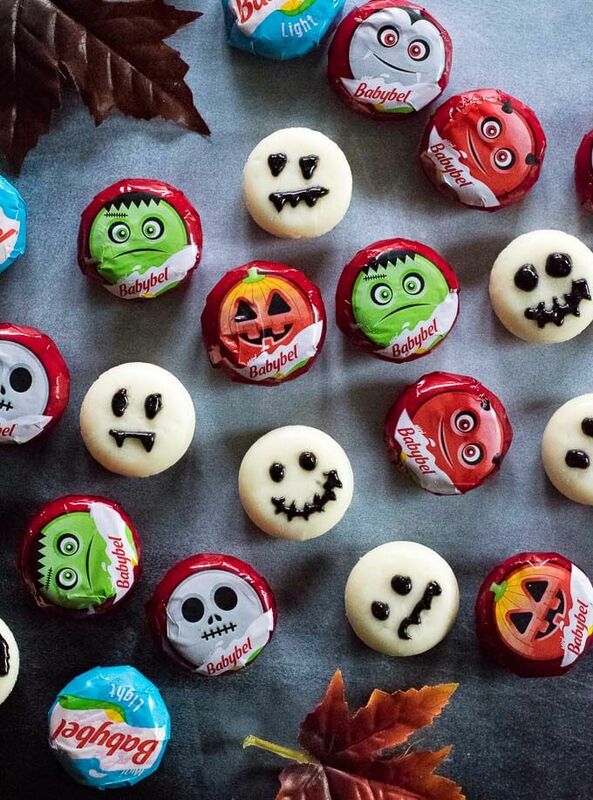 You don’t have to be a great artist to craft these spooky snacks. Kids and adults alike will have fun designing their own custom creations. Luckily for me, my fourth-grade teacher constantly bragged about my artistic skills. I was on track to be the Picasso of my elementary school but it proved difficult to cut off my ear with safety scissors. Discouraged, my artistic skills stalled around the fourth-grade level. 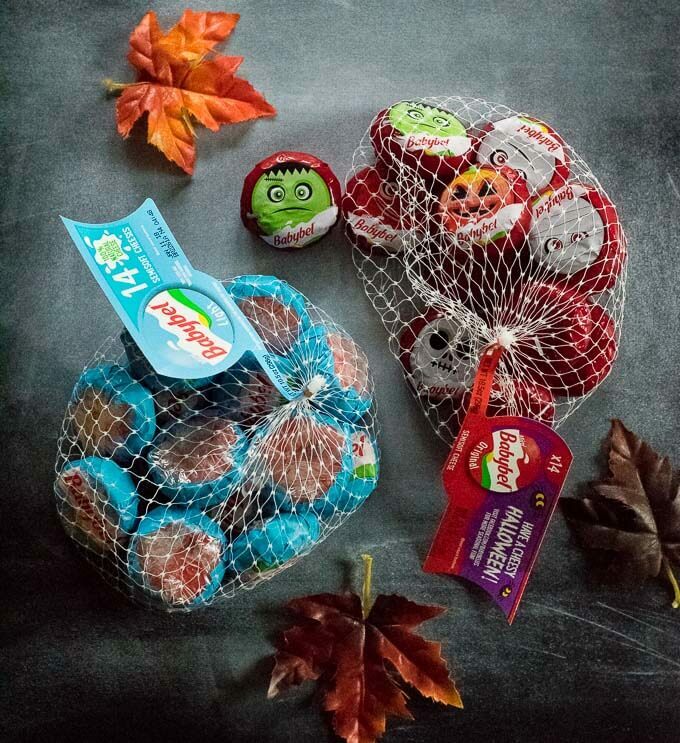 Mini Babybel® cheese is the perfect canvass for these snacks. These round cheese wheels are the perfect size for crafting creative designs, and they taste great! I love that they are 100% real cheese plus a good source of protein and calcium, my family just loves how fun they are to play with! Win-win! Plus, right now you will find specials on Mini Babybel® cheese all month-long at target! 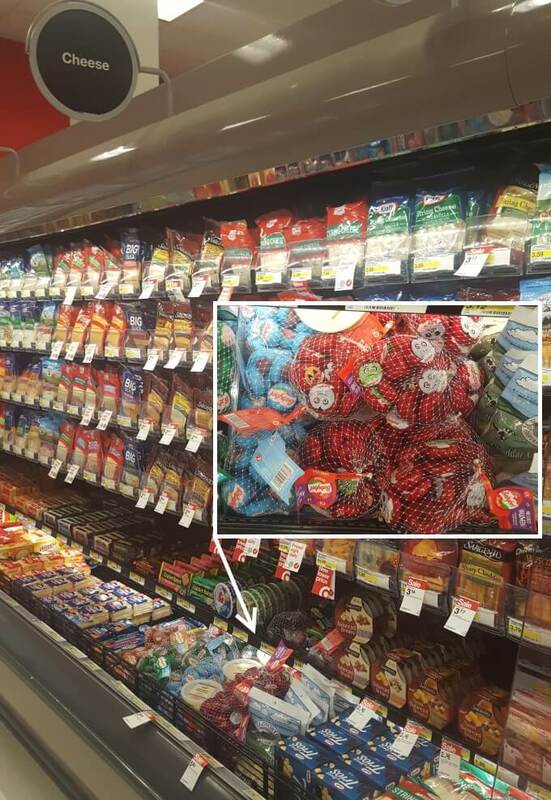 I picked up Mini Babybel® Original and Light. They not only are perfect Halloween snacks if you are throwing a party, but they are also great for my wife to pack in her lunch for work. To craft your spooky designs I picked up black food gel in the Halloween section. You can use black food coloring instead, or have some fun by picking up multiple colors for additional designs. A cheesy green Frankenstein perhaps? The key isn’t to be a great artist, it is to have fun with your family. 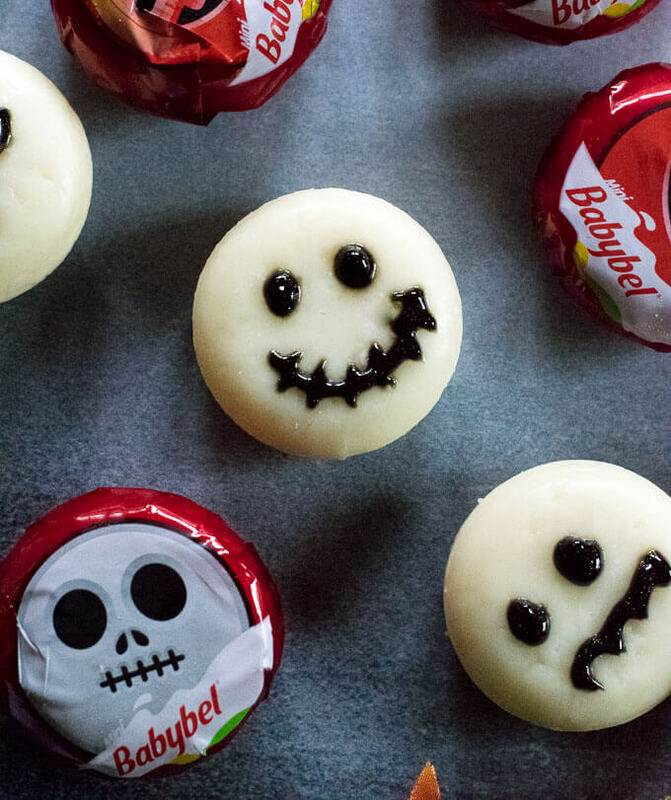 Use the black food coloring, or food gel, to design spooky faces on the cheese. Design ideas include ghosts, skulls, mummies, vampires, and are only limited by your imagination! IF YOU LIKED THESE EASY HALLOWEEN CHEESE SNACKS be sure to check out my Cocktail Meatballs in Garlic Butter Sauce for a great party appetizer! 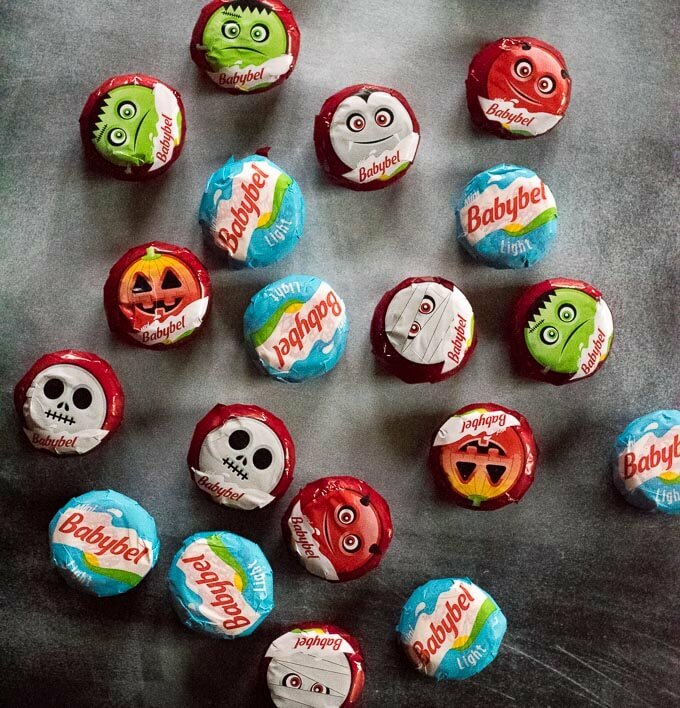 Remember to head to Target and take advantage of the deals on Mini Babybel® all month long! You will find them in the cheese section! 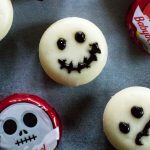 If you enjoyed my Easy Halloween Cheese Snacks then you should probably like me on Facebook and follow me on Pinterest too. That’s what I would do at least, because if you don’t get to know me but you still use my recipe it is kind of like taking candy from a stranger, and your mom taught you not to do that. Don’t disobey your mom, subscribe to Fox Valley Foodie today.